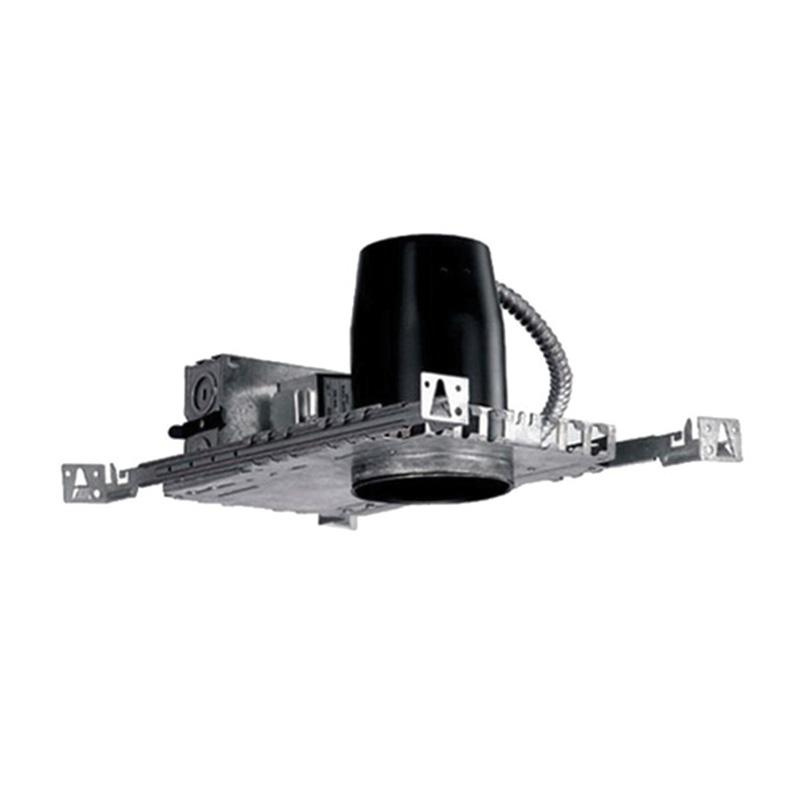 WAC Lighting Low-voltage new construction 3-Inch non-IC magnetic housing in black paint finish, features 20-gauge steel construction. Housing employs one 50-Watt MR16 lamp. It requires input voltage rating of 120-Volts and has power rating of 50-Watts. Housing measures 14-1/2 - 24-1/2-Inch x 6-Inch. Housing with 3-7/8-Inch cut out, supports hanger bar mounting for easy installation. It uses integral magnetic transformer for reliable operation. Housing is dimmable using magnetic low-voltage dimmers. It is suitable for use in shallow joist installations. Housing is compatible with HR-D321, HR-D324, HR-D325, HR-D326, HR-D327, HR-D329, HR-D329-S, HR-D332, HR-D333 and HR-D334 trims. Housing is UL and cUL listed.